Shane Tinker never knew he was going to be a nurseryman. In fact, if you still ask him about it, even he seems surprised to now be in the business of buying and selling plants. 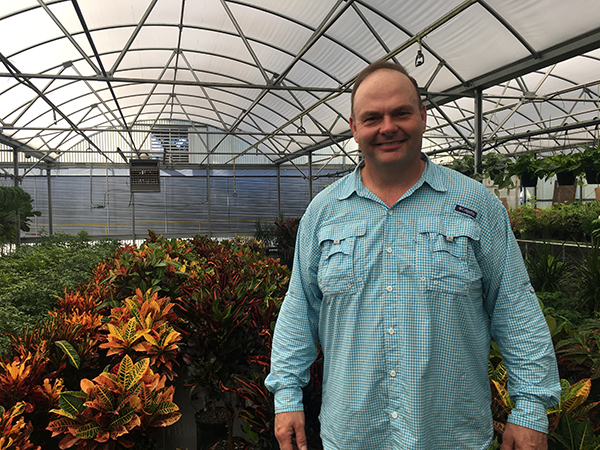 Shane Tinker, founder of ShaneTinker Enterprises, Inc.
Tinker started his career in the nursery industry driving a delivery truck for a different local plant broker. Tinker was eventually able to purchase their brokerage and from there the rest is history. 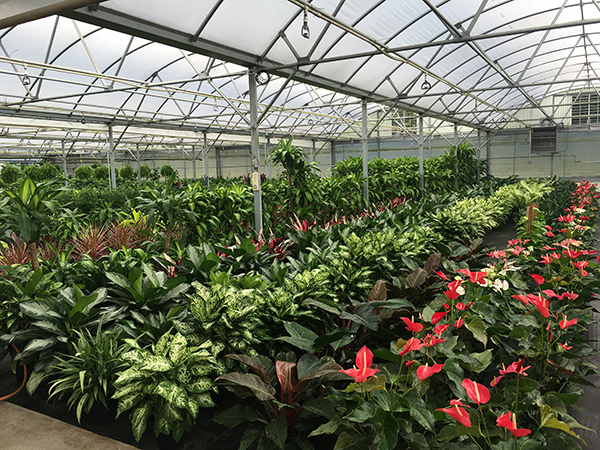 In addition to brokering plants, Tinker and his team operate a Spathiphyllum production facility, cultivating plants for sale. More commonly known as the peace lily, these plants can be found in interiorscapes worldwide. 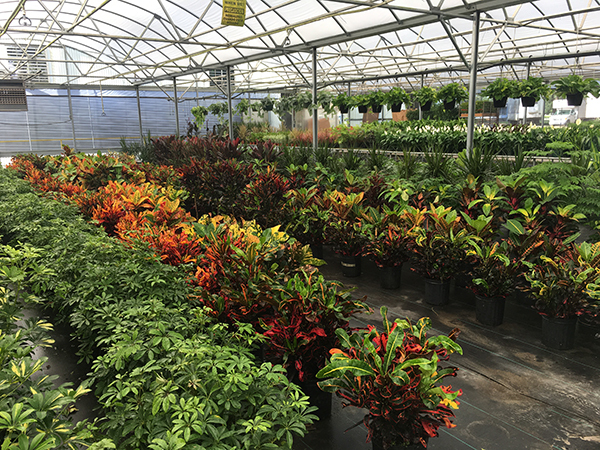 ShaneTinker specializes in tropical plants, primarily sourced from South Florida producers. In honor of the Mid-Florida Research and Education Center’s upcoming 50th anniversary, ShaneTinker Enterprises, Inc. donated plants to go in MREC’s new landscape which will serve as a demonstration area for landscape design and irrigation. Tinker remains optimistic about the future of the industry and encourages today’s youth to get involved. ShaneTinker specializes in brokering plants for both interior and exterior landscapes.